Laer Pearce has been a public relations professional since 1976. He is a past president of the Orange County chapter of the Public Relations Society of America and the 1989 recipient of its Distinguished Service Award for “Outstanding contributions to the public relations profession and the community.” He has received more than 50 awards for his public relations projects and campaigns. Laer is active in client service and account management, serving as team leader and providing strategic counsel on several of the agency’s accounts. 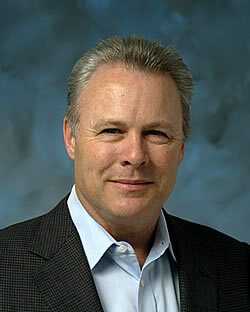 He has run campaigns that have defined much of the land development industry’s regulatory environment in Southern California, including the defeat of the state listing of the California gnatcatcher, the redirection of the federal gnatcatcher listing from “endangered” to “threatened,” the rewriting of the nationwide wetlands permit, and the creation of the NCCP program. He helped successfully rally statewide opposition to efforts by the Coastal Commission to extend its authority inland, and helped create the California Natural Resources Group, which has successfully challenged decisions regarding critical habitat for endangered species. He has supported land developers and homebuilders in many entitlement efforts. He is currently working on Newhall Land & Farming’s Newhall Ranch project, Aera’s Puente Hills project, Tejon Ranch’s Tejon Mountain Village project, Chevron’s West Coyote Hills project and Shea Homes’ Parkside Estates project. Previously, Laer successfully supported Aera/Toll Brothers’ Vista Del Verde project, Unocal’s East Coyote Hills, Imperial and Birch Hills projects, The Irvine Company’s Turtle Ridge and Santiago Hills projects, and many others. His long experience with community and media relations has led to his development of a proprietary curriculum for media training, development and use of key messages, and preparing for interviews and potentially hostile hearings. He has used these materials to provide training to the Orange County Board of Supervisors, the heads of numerous County of Orange departments and their public information officers, and to numerous private-sector executives. After graduating from Indiana University with an honors degree in journalism, he worked as a reporter for several years before joining an affiliate of Hill and Knowlton, then the world’s largest PR agency. He formed his own agency in 1982. He is accredited by the Public Relations Society of America, and has taught preparatory classes for PRSA’s demanding eight-hour accreditation examination. He has served on the public relations curriculum advisory committees of U.C. Irvine Extension and California State University, Long Beach. He is a past president of the Orange County Forum, one of California’s premier public issues forums. He serves on the an Executive Board of the Building Industry Association of Orange County, is Vice President/Public Affairs of the Building Industry Association of Southern California, is a member of the Water Advisory Committee of Orange County and serves on the public affairs committee of the California Building Industry Association. He is a member of the Counselors Academy, an international association of public relations agency owners and executives, the Orange County Business Council, the Orange County Public Affairs Association and the Association of California Water Agencies. Laer’s incredible wife is the agency’s Chief Financial Officer and they have three incredible daughters. 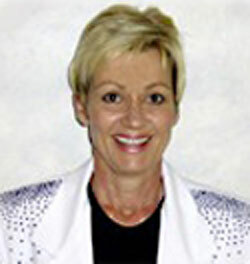 As Vice President and Chief Financial Officer (CFO) for Laer Pearce & Associates, Beth has been actively involved in the administrative, human resources and financial functions of the agency since its inception in 1982, when she co-founded the highly successful agency along with her husband, Laer. In addition to her responsibilities as CFO, Beth has taken an active role in guiding the direction of the agency's communications strategies for clients. She is also the Executive Producer of a series of videos detailing the dangers of the drug culture. Scott traded in his baseball spikes for a laptop in 2000 when he launched a career in public relations working accounts for Toyota Motor Company and the California Department of Transportation. A year later he joined the Laer Pearce & Associates team managing campaigns for land-use, utility and real estate clients. He has formed numerous coalitions to win support for issue campaigns and is credited with establishing a diverse coalition that helped to win approval for one of Southern California’s most complex land use projects. His work has been honored with more than a dozen awards in the areas of news placements, materials production (brochures, annual reports, newsletters) and community relations. Scott has spoken to students about public relations at Chapman University, California State University at Long Beach and California State University at Fullerton. He currently serves on the Orange County Building Industry Association’s Board of Directors and is a past director of the Public Relations Society of America, Orange County chapter. Selected by the Seattle Mariners in the 1996 draft as a left-handed pitcher, Scott does not make it to the ball field much these days. Most free time is spent with his wife and their three daughters hiking trails or relaxing at beach. 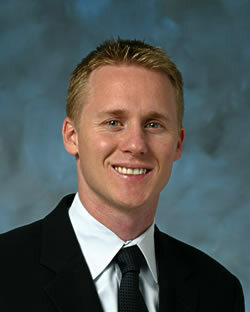 Ben Boyce is Senior Vice President of Laer Pearce & Associates and leads the agency's San Diego practice. For the past dozen years, he has guided many of California's top land developers and public agencies to significant victories by building consensus and seeking creative solutions. Ben has led several successful land development entitlement outreach programs in both Northern and Southern California, including campaigns for the largest proposed residential development in California's history (SunCal's Waterman Junction in Barstow) and one of the largest in the nation (SunCal's Atrisco property in Albuquerque). He has also helped lead rebranding and outreach efforts for a number of companies and associations serving the building industry. Ben has provided strategic outreach support to the five largest retail water providers in Orange County, the largest in the Inland Empire and many wholesale agencies across Southern California. His efforts have been recognized with awards from a number of regional and statewide organizations, including the California Special District Association and the Association of California Water Agencies. He has also successfully managed crisis communications for several public-agency and private-sector clients, and has advocated on behalf of his clients in a number of daily newspapers and trade publications, including penning a cover article in California Builder magazine on the complex world of California's state bond measures. His efforts to support residents of a crumbling apartment complex were recognized as Orange County's 2008 crisis PR of the year. 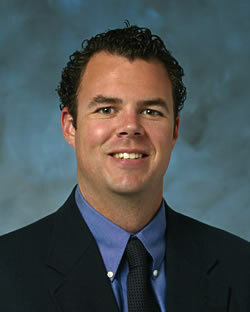 Ben is active in the San Diego and Orange County business communities. He is a member of the Building Industry Association, Urban Land Institute, Association of California Water Agencies, Southern California Water Committee, CalDesal, the San Diego Regional Chamber of Commerce and the Orange County Public Affairs Association. As a contestant on The Price is Right, Ben was awarded a new coffee maker and a year's supply of Mylanta for incorrectly estimating the cost of a brass bookcase. In more than 30 years helping businesses, industry groups, municipalities and public agencies navigate California’s complex regulations and win community support, LP&A has compiled a record of 67 wins and four losses on our public affairs campaigns. We do important work for important clients – companies and organizations you’d recognize, like The Irvine Company, Metropolitan Water District of Southern California, the County of Orange and Tejon Ranch. We live for helping win high-level, big-stakes campaigns through strategic communications and outreach. When the task is seemingly impossible but critically vital, that’s when clients turn to LP&A. We have some mantras. "Clutter in, clarity out." "If it’s regulated, we can communicate it." "It’s hard to move ahead if you’re spinning." We have some trophies. More than a hundred of them, in fact, but all that really matters about them is this: Every one of them is for successfully achieving our clients’ objectives. That’s just the start. So contact us and we’ll be in touch.